A few years back I used to be an avid book reviewer for Indie Authors. I've met a few authors who are so kind and would write their books with so much energy, passion, and love. So much would be poured into their books that I would immediately feel captured. 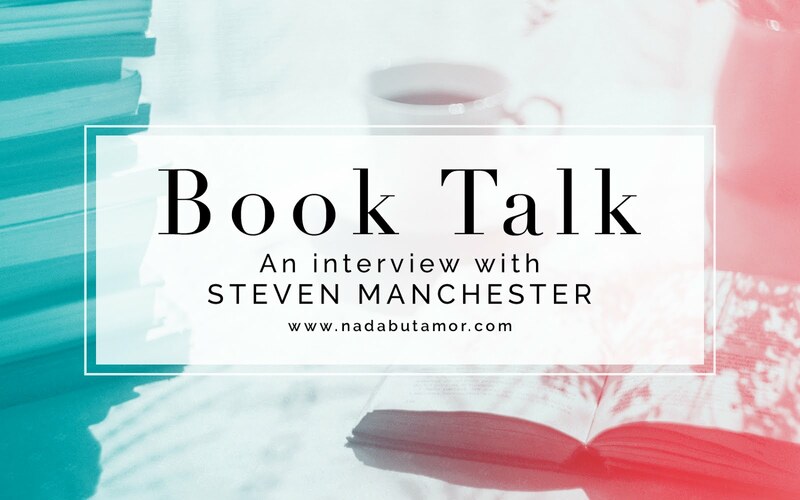 Steven Manchester is one of my favorite Indie Authors, his books are so thoughtful, heart-warming, and real. He writes general fiction that dives deep into your soul with health struggles, family's love, and emotions. I got a chance to interview Steven for his new upcoming book, Ashes. I've always wanted to be able to ask these particular questions to an author, and I'm honored for it to be Steven. Read on for the thoughtful musings from the mind of an author, and I encourage you to read every word. It's worth it. Trust me. 2. How many years has it been since you published your first book? Tell us about the experience. I was first published in 1996 under the pen name, Steven Herberts. To say this was a thrill would be a gross understatement. My oldest son, Evan, was three years old and I nearly dropped him when I read the acceptance letter from the publisher. 3. Is writing considered your passion? If so, how did you know? Writing is definitely my passion. I know that because I’d write if I never got published or paid again. No matter how much I accomplish, I still consider myself a writer—period. 4. What is the quote or motto that you live by? Tell us why. “If you can dream it, you can live it.” – Walt Disney. 5. What are your thoughts on writing to please yourself or writing to please your readers? When I first started, I wrote to please myself (and for my children). As I moved away from that and tried writing for my readers, I lost something very important in the process. Once I returned to writing for me and my kids, I learned that this style was the reason I gathered my readers, to begin with. 6. If you don’t mind me asking, how do you cope with negative reviews? …with a grain of salt. Literature is subjective. Although I don’t appreciate mean or unkind words, I can easily brush them off. I worked in a medium security prison for years, insults have very little power over me. 7. How do you come up with content for your books? My stories are usually experience-based; either my experiences or something that’s happened to someone I know. I only need a major theme that has the potential evoke emotion (i.e., a couple gets divorced, and the children are taken from their father) and I can spend the next six months writing. 8. Have you gone through writer’s block? What is your way to keep going when you’re suffering from it? I’ve been blocked, but for me, it’s just a matter of going to some other place in the story and writing that. Usually, when I redirect my attention, the block quickly dissolves. More often than not, my books are not written from beginning to end. I’m able to jump around and then put it all together at the end. 9. 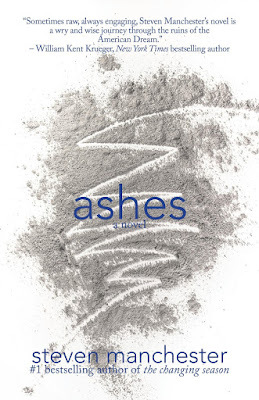 Does your recent novel; Ashes, relate to you? How? Absolutely! Although they’re polar opposites, I can easily relate to both main characters (as many of their traits are mine). There are scenes that are semi-autobiographical. The initial environments are familiar and then I needed to do some research. 10. Finally, if you could take one message or quote from the book, what would it be? Just reading this again made me smile. His words gave me a few things to carry with me wherever I go. Such as, write for yourself and the people you love, work hard, and brush off the negative stuff. I'm glad to be able to interview Steven and know more about him and how he comes up with the amazing-ness that's his books. 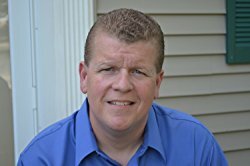 Steven Manchester is the author of the #1 bestsellers Twelve Months, The Rockin' Chair, Pressed Pennies, and Gooseberry Island as well as the novels Goodnight, Brian and The Changing Season. His work has appeared on NBC's Today Show, CBS's The Early Show, CNN's American Morning, and BET's Nightly News. Three of Manchester's short stories were selected “101 Best” for the Chicken Soup for the Soul series. He lives with his family in southern Massachusetts. A huge thank you to Steven for doing this interview! I hope everyone takes a little bit of something from this post today.